You know those foods that people ONLY eat on certain holidays or at certain times of the year? And let’s not forget matzah at Passover. Here’s what usually happens at Passover. Grocery stores begin displaying their limited supply of Passover foods, including matzah. People purchase boxes upon boxes of matzah in the fear that the grocery store will run out during the week-long holiday in which no leavened foods are to be eaten. The week ends, and people find themselves with one-if not more box of unopened matzah. What happens? We’re so sick of eating matzah that as soon as the 8 days have passed, the matzah goes away in a dark cabinet for weeks, months and sometimes, an entire year. 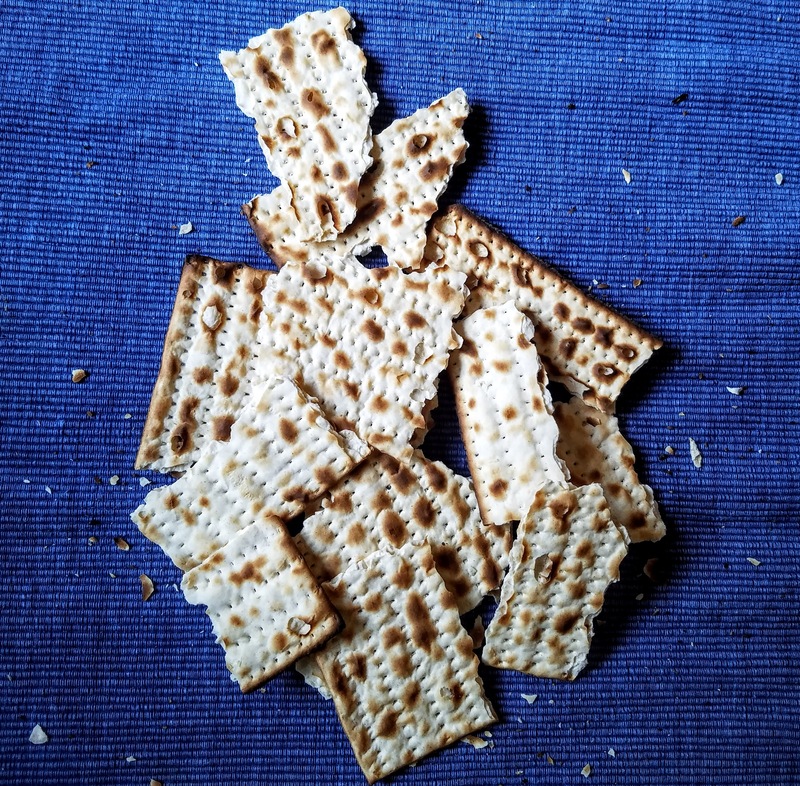 By the time the next Passover rolls around, or, let’s be honest, wayyyyy before that time, the matzah hasn’t been touched, thought to be stale and finds its way to the trash. Donate it, you say? Matzah is kind of a hard sell if you’re not familiar with it. I’ll leave it at that. How appropriate that this month’s Recipe Redux theme is Easy Ways to Reduce Food Waste. 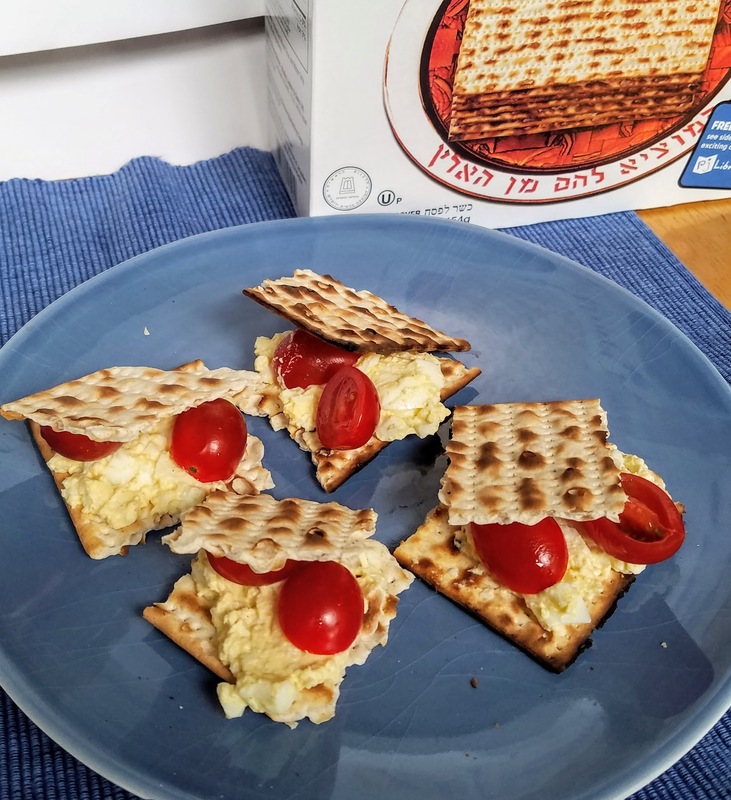 I’m encouraging those who have leftover boxes of matzah to take them out of the pantry and use them in these Egg Salad Tea Matzah Sandwiches recipe. I don’t have a ton of matzah leftover at my house, typically. But if I did, this would be at the top of the list… ’cause you know, I love me some egg salad!